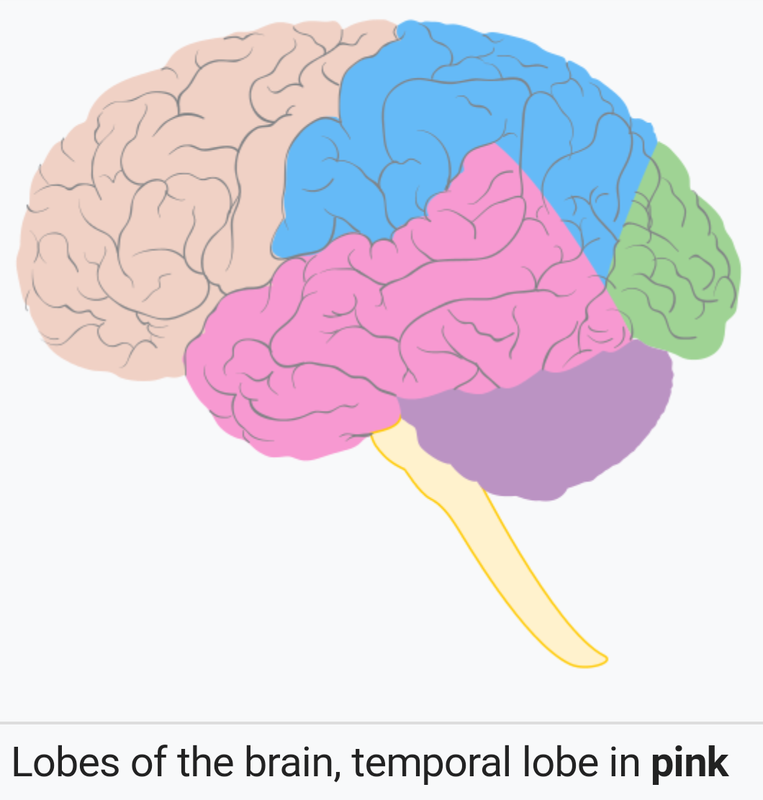 Temporal lobe epilepsy (TLE) is a chronic disorder of the nervous system characterized by recurrent, unprovoked focal seizures (also known as partial seizures) that originate in the temporal lobe of the brain and last about one or two minutes. TLE is the most common form of epilepsy with focal seizures. People with TLE may experience simple partial seizures that only affect the temporal lobe or complex partial seizures that spread to other regions of the brain. During simple partial seizures, some people remain conscious. Depending on the areas of the brain affected, people with TLE may experience chest discomfort, nausea, unexplained emotions (e.g., intense joy or fear), or loss of awareness (e.g., staring or repetitive behaviors like blinking, twitching, pacing, etc.). They might also be in a dream-like state and have changes in consciousness, strange sensations, or have hallucinations and see, hear, feel, smell, or taste things that are not real. Some people report auras (warnings that a seizure is approaching), usually described as intense feelings of déjà vu or fear. Usually auras are actually the focal seizure itself, but some people do develop a regular progression of symptoms before each seizure that can serve as a warning. What are the signs and symptoms of TLE? 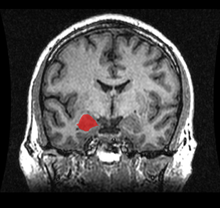 When a seizure begins in the temporal lobe, its symptoms and the patient’s behavior as seen by bystanders, depend on the precise location of its point of origin, its locus. In 1981, the ILAE recognized three types of seizures occurring in temporal lobe epilepsy. The classification was based on EEG findings. Simple partial seizures (SPS) involve small areas of the temporal lobe such as the amygdala and hippocampus. The term “simple” means that the level of consciousness of the patient is not altered during the seizure. In temporal lobe epilepsy, a simple partial seizure usually causes abnormal sensations only. These may be mnestic sensations such as déjà vu (a feeling of familiarity), jamais vu (a feeling of unfamiliarity); amnesia; or a single memory or set of memories; auditory (an abnormal sound or tune); gustatory (an abnormal taste); olfactory (a smell that is not physically present); visual; or sensory (involving feelings on the skin or in the internal organs) sensations. Sensory disturbances may seem to move over the body. Synesthesia (stimulation of one sense experienced in a second sense) may transpire. Dysphoric or euphoric feelings, fear, anger, and other emotions may also occur. Often, the patient cannot describe the sensations. Simple partial seizures may be called “auras” by lay people who mistake them for a warning sign of a subsequent seizure. Instead, the so-called aura is actually the partial seizure itself. People who only experience simple partial seizures may not recognize what they are, nor seek medical advice about them. A simple partial seizure may or may not progress to any of the seizure types listed below. Complex partial seizures (CPS) are seizures which impair consciousness to some extent: they alter the person’s ability to interact normally with their environment. They usually begin with a simple partial seizure, then spread to a larger portion of the temporal lobe, resulting in impaired consciousness. Signs may include motionless staring, automatic movements of the hands or mouth, altered ability to respond to others, unusual speech, or other unusual behaviors. These seizures tend to have a warning or aura before they occur, and when they occur they generally tend to last only 1–2 minutes. It is not uncommon for an individual to be tired or confused for up to 15 minutes after a seizure has occurred. Though they may not seem harmful, due to the fact that the individual does not normally seize, they can be extremely harmful if the individual is left alone around dangerous objects. For example, if a person with complex partial seizures is driving alone, this can cause them to run into the ditch, or worse cause an accident involving multiple people. With this type, some people do not even realize they are having a seizure and most of the time their memory from right before or after the seizure is wiped. First-aid is only required if there has been an injury or if this is the first time a person has had a seizure. Seizures which begin in the temporal lobe, and then spread to involve the whole brain are known as Secondarily Generalized Tonic-Clonic Seizures (SGTCS). The arms, trunk, and legs stiffen (the tonic phase), in either a flexed or extended position, and then jerk (the clonic phase). Secondarily generalized tonic clonic seizures are known in the vernacular as convulsions or grand mal seizures. The word grand mal comes from the French term, meaning major affliction. There is some period of recovery in which neurological function is altered after each of these seizure types. This is the postictal state. The degree and length of postictal impairment directly correlates with the severity of the seizure type. Simple partial seizures often last less than sixty seconds; complex partial seizures may last up to two minutes; and generalized tonic clonic seizures may last up to three minutes. The postictal state in the case of complex partial seizures and generalised tonic clonic seizures, the postictal state may last much longer than the seizure itself. Because a major function of the temporal lobe is short-term memory, complex partial seizures and generalised tonic clonic seizures may cause amnesia for the period of the seizure. As a result, patients with temporal lobe complex partial seizures and generalised tonic clonic seizures may not remember having had a seizure.